Today I want to share a few of my favorite cards I made during last year. I didn't make as many cards last year as I did in the previous years, but wanted to take a look back anyway. And once again I have to say that I cannot choose between cute and non-cute stamps/cards. What can I say, I like them all! And I always have a hard time choosing favorites, so I picked one from each month to make it easier. I love the gray and peach color combo and it's one of my favorite girly fashion stamps. I really like how my water coloring turned out. What can I say...this cat card is just too cute!! Love the card design here and of course who can resist this cute bunny! More water coloring fun using the Zig Clean Color brush pens. Just a fun floral design and I got to play with my Pan Pastels. A cute Christmas in July card I made (Couldn't resist the new image by Mo Manning!) and my card was chosen as one of the top 3. I really like colors I used on this baby card. Some layered stamping fun on this floral card! Love the winter scene and the Penny Black snowman is just perfect for it. Had lots of fun playing with masking fluid! 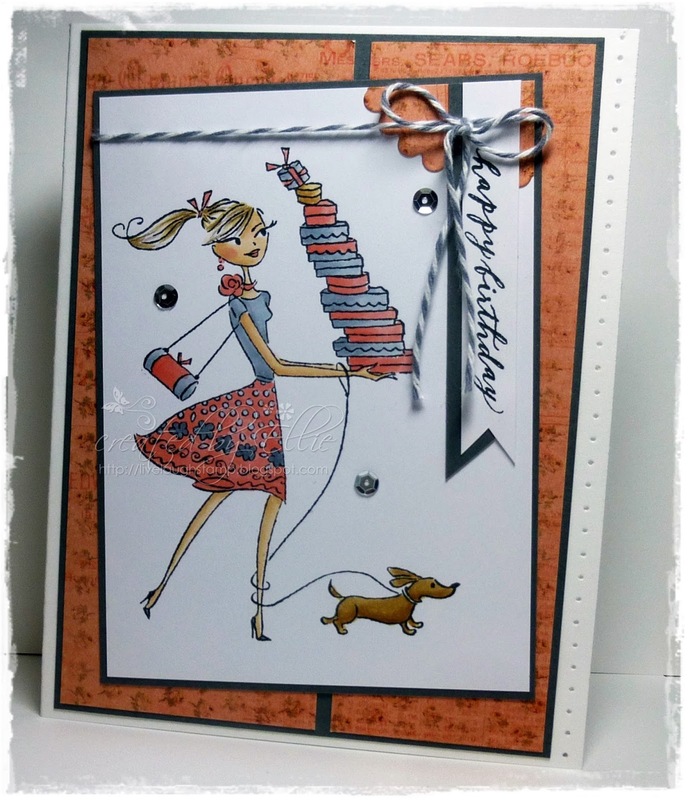 A fun to make CAS card using wet embossing on linen card stock. I am hoping to be able to make more cards in 2017. One of my New Year's resolutions is to quit being such a messy crafter, and one thing that will help with that is clearing out some of my stash. I started going through some stamps that I hate to part with, but I think they will be more used in another home, so I have listed some already on Ebay if anyone is interested. Unfortunately I can only ship to the United States as I want to use tracking and it is just too expensive to ship overseas. More to come as I get time. These are all by Whimsy Stamps (Elisabeth Bell designs), but I am hoping to list some sentiments stamps too. It is difficult choosing isn't it Ellie, a great collection her, love October but probably February tops it for me - no surprise they are both floral is it. Ohhhhhhhhh I love love love these!!!!!!!!!!!!!!!!!! Gorgeous selection of cards, all beautifully done..